This petition has been created by Pure Earth N. and may not represent the views of the Avaaz community. Toxic disease-causing pollution travels the globe in our air, water, food and products. Banned pesticides are found in products we buy from the global market. The food we eat, even rice cereal for our babies, is sometimes grown in lead-contaminated soil. Mercury poisons our seafood. And in all, this pollution is linked to one in six deaths worldwide. The global health threat of toxic pollution affects children, communities, and consumers around the world and demands global action. In today’s interconnected global economy and ecosystem, it is not enough to regulate our products and toxic chemicals domestically. We must stop pollution at its source. As a consumer, I want products that come from a toxic-free supply chain. I do not want products that pollute communities and put my own family’s health at risk. I call on the leadership at the upcoming UN Environment Assembly March 11-15 in Nairobi Kenya, the World Health Assembly, and other international fora to 1) Prioritize pollution control at the source to protect public health; and 2) Increase funding for pollution clean-ups. Leaders at these meetings must spotlight pollution as a solvable global health crisis, and call upon the international community to prioritize investment in pollution controls at the source. Such actions will lead to tremendous gains in human health, child health and human rights, and advance at least 7 of the UN Sustainable Development Goals. Together, we can solve this global pollution crisis. Will you join us in demanding action? 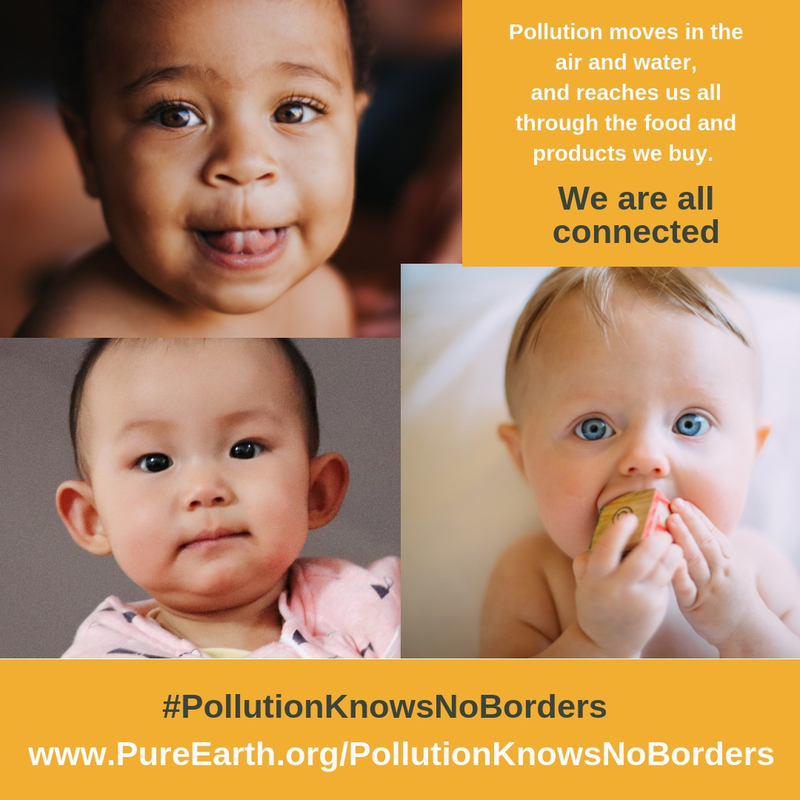 To learn more, read Pure Earth’s Report: Pollution Knows No Borders: How the Pollution Crisis in Low- and Middle-Income Countries Affects Everyone’s Health, and What We Can Do to Address It.